Hopelessness and disbelief defined the American psyche in the immediate aftermath of the World Trade Center collapse fourteen years ago on September 11, 2001. Ten years later, on September 11, 2011, the 9/11 Memorial & Museum opened its doors to share construction artifacts and a huge collection of historic memorabilia related to this horrific event. This is the story of how the cleanup and construction crews cleared away the rubble, which formed the basis of the new 9/11 Memorial & Museum. In 2001, when the attacks happened, images flooded the nation. Images of a smoldering Ground Zero portrayed the feeling of dismay felt across the country. For New York City assistant construction commissioner Lou Mendes, a different picture emerged from the rubble. A retaining wall had survived the blast. It wasn’t heralded in the news, but one massive slurry wall had held up, to hold back the Hudson River, disastrous if it failed. Rescue, recovery, and cleanup in the early hours and days following 9/11 were shaped because of the slurry wall, a concrete partition rising 70 to 80 feet and surrounding 16 acres below the Twin Towers. The three-foot-thick wall circled the below-grade base of the entire World Trade Center complex, creating the so-called bathtub, where most of the recovery and cleanup took place. The tons of debris that had rained into the bathtub held the slurry wall in place. In the aftermath, engineers and crews worked to maintain its integrity. “We worked from debris platform to debris platform, all the way down,” he says. The slurry wall survived and is now displayed, along with a few decommissioned pieces of the buildings, in the 9/11 Museum collection. The artifacts of construction represent the power of resilience and testify to America’s building capabilities. Though supported today by an additional wall for reinforcement, the slurry wall at the World Trade Center can be considered significant evidence of the endurance of American construction. 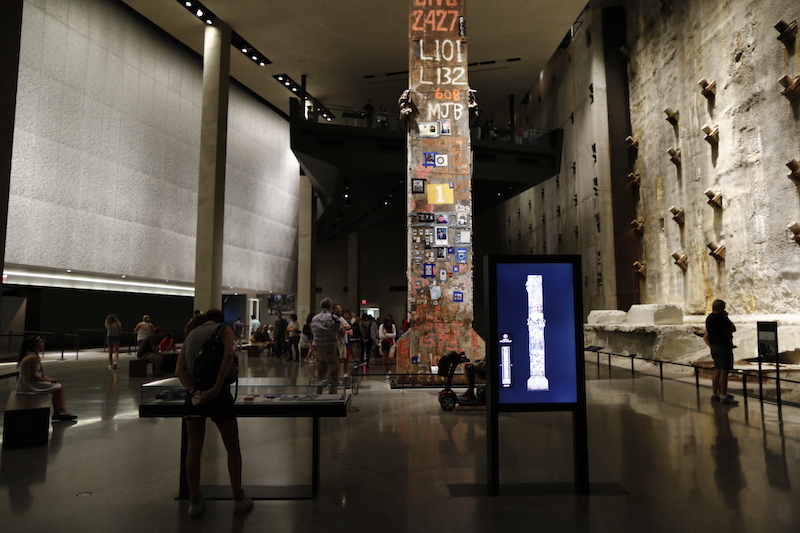 The artifacts in the 9/11 Museum stand as pieces of remembrance, as examples of stalwart industry, as points of contemplation about the future. 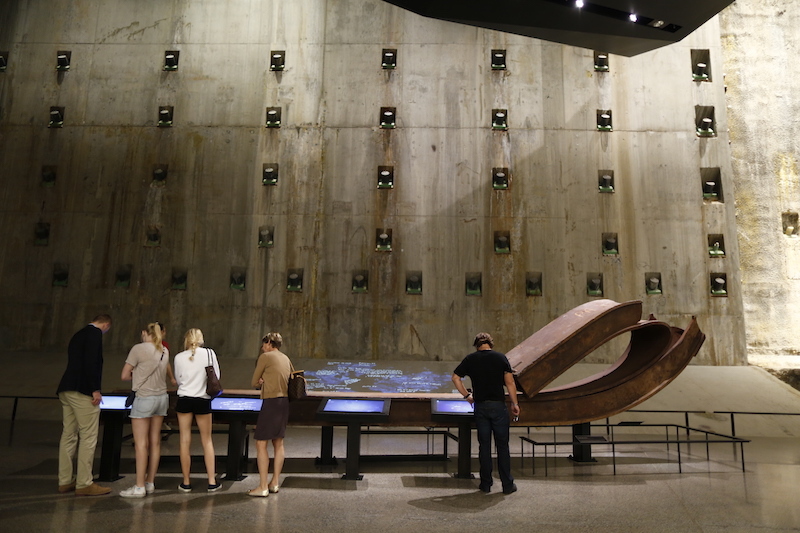 Only a 60-foot section of the wall is on display in the museum; the rest is still doing its job, says Mendes, who serves now as vice president for Facilities, Design and Construction at the National September 11 Memorial & Museum. The facility was dedicated after more than a decade of intense clearing and reconstruction. The wall is an engineering feat but not necessarily an object of beauty. The stark, light gray slab of reinforced concrete, studded with large protruding bolts, stands in the most dramatic room of the museum that visitors enter through a tunnel. “It’s basically magnificent,” Mendes says. Granted, he might be a little biased. Not only did he work for the city throughout the period of reclaiming the World Trade Center site, he later oversaw crews that built the memorial and museum. He says the cleanup had been the most challenging job of his career, until he coordinated the design and construction of the museum and memorial. One object left standing, The Last Column, as it is known at the museum, became symbolic for a specific reason, according to Mendes. “A company of firemen disappeared there,” he says. It stayed in place for much of the cleanup period. Commemorated by mementos, marks and signatures by the construction crew and the public, the beam escaped the tangled, twisted fate of some of its counterparts. It was eventually moved by Honor Guard, draped in an American flag, to its current resting place inside the museum. 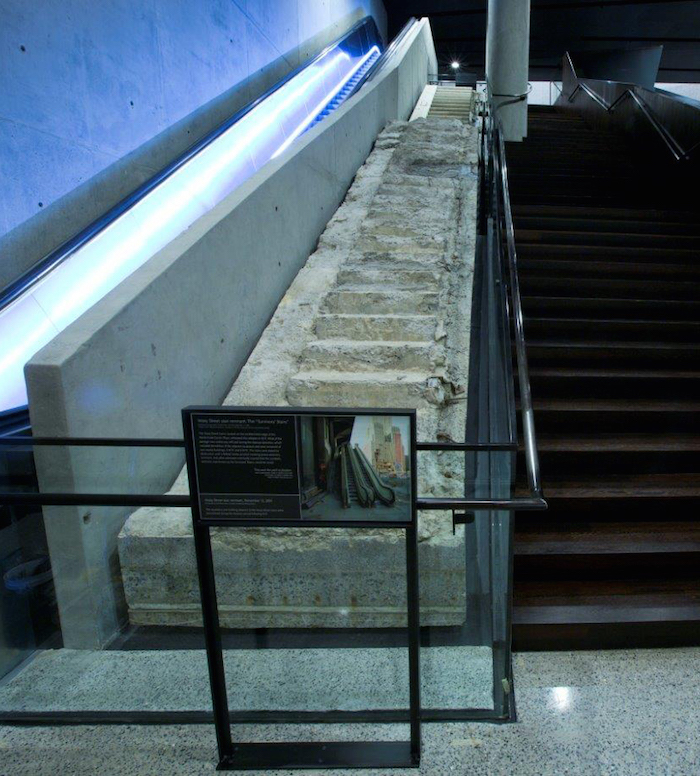 As visitors enter the museum’s exhibition level, they pass alongside an artifact that was a major escape route for those fleeing the World Trade Center. A historic flight of stairs, called the Survivors’ Stairs, is credited with helping hundreds escape on 9/11. Originally located off of Vesey Street, the stairs were moved from that location into the museum, a highly coordinated transport of more than a mile at a snail’s pace from their original spot. The stairs, crumbled in some places, give visitors a visceral sense of the survivors’ experience. Mendes, sent immediately to the site on 9/11, recalls distinct memories of disbelief upon encountering the scene for the first time. Among many, this translated into a desire to help, and that altruistic ethos continued throughout the cleanup and into the rebuilding phase, he says, making for unique construction management issues. 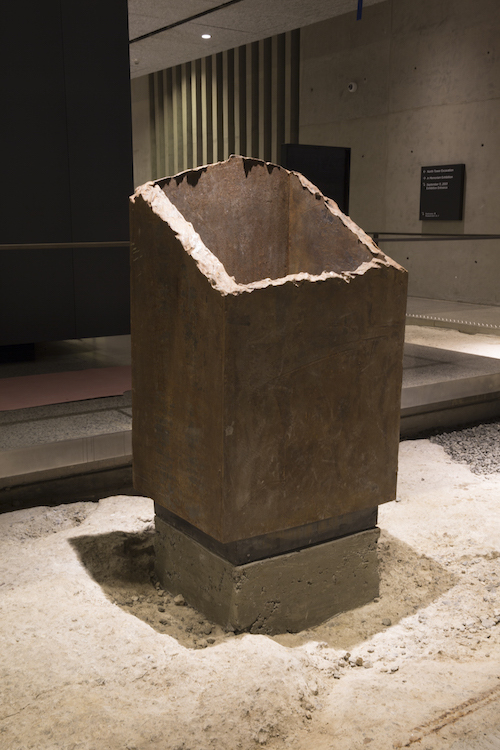 These construction artifacts represent a small portion of the World Trade Center experience. 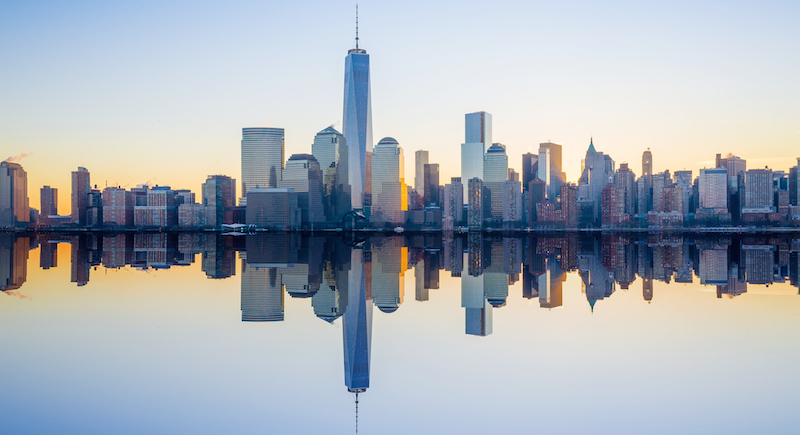 View an overview of the location of each new building: the One World Trade Center, 2 World Trade Center, 3 World Trade Center, 4 World Trade Center, 7 World Trade Center, Transportation Hub, and 9/11 Memorial & Museum. When the 9/11 Memorial & Museum is highlighted, you will see the distinct footprints of the original Twin Towers where two companion memorials exist. 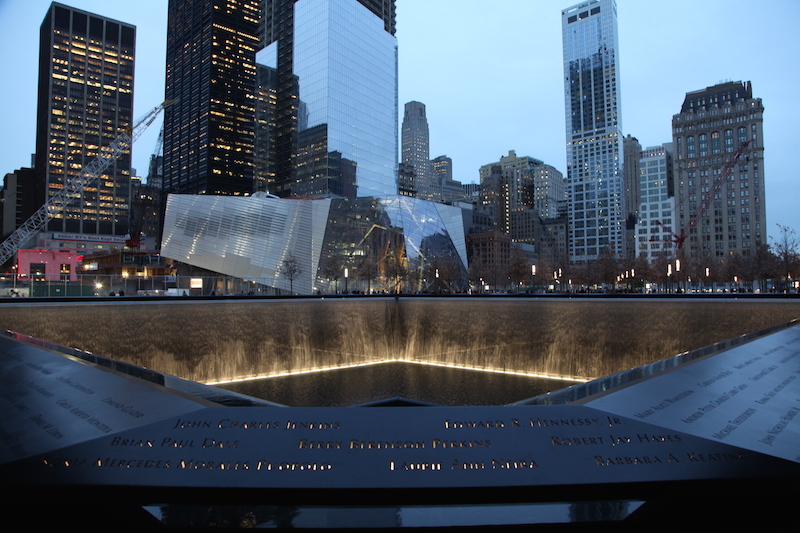 These companion memorials are comprised of two large above-ground reflecting pools and waterfalls on the footprint of the original Twin Towers. The names of the more than 3,000 people who lost their lives are inscribed into the bronze panels bordering the Memorial pools. They represent the largest loss of life from a foreign attack on American soil and the greatest single loss of rescue personnel in American history. In addition to the construction artifacts, the 9/11 Memorial and Museum hosts items related to the history of the World Trade Center, including the 9/11 event of 2001 and the previous WTC bombing of 1993 where six people died. The collection includes more than ten thousand historical pieces such as archival documents, 37 large artifacts like first responder vehicles, photographs, personal effects and memorabilia, expressions of tribute and remembrance, websites, recorded testimonies, and audio and video digital files. The museum and memorial were the first to be opened on the devastated World Trade Center site. The new One World Trade Center was an entirely separate project and was built while Mendes and crews worked on the memorial and museum. Though designed and constructed by another group, One WTC’s simultaneous construction required intricate coordination between the two projects, Mendes said. The new One World Trade Center opened its doors in October 2014 and is the tallest building in the Western Hemisphere. It stands at a symbolic 1776 feet tall with 104 stories. Construction is ongoing in the area. A total of seven buildings came down in lower Manhattan due to 9/11. Other construction projects will be in the works for years to come. This doesn’t hinder visitors. 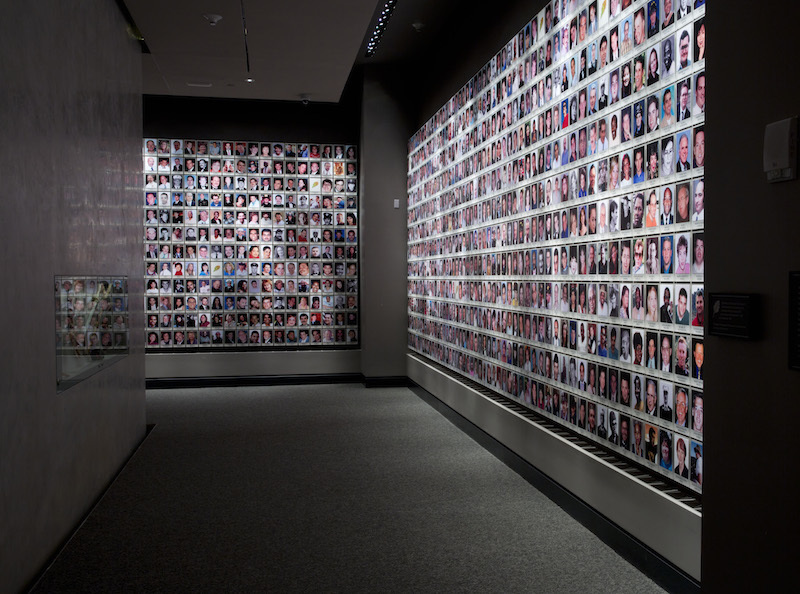 According to museum officials, more than three million people visited the museum in the first year from September 11, 2011 to September 11, 2012. Between 8,000 and 9,000 people visit the 9/11 Memorial and Museum each day. 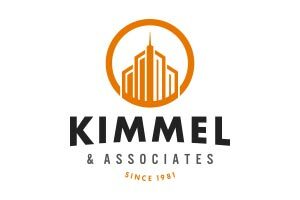 Today especially, Kimmel & Associates would like to salute every single fallen soul who lost their lives in this American catastrophe. May your memories live on from the efforts of those who worked hard to construct the 9/11 Memorial and Museum in your honor. Your memories will ever be present from the reconstruction of the One World Trade Center and associated buildings, as well.